On May 27, 2017 February 15, 2018 By felicitousfelixIn Are There Lesbians? 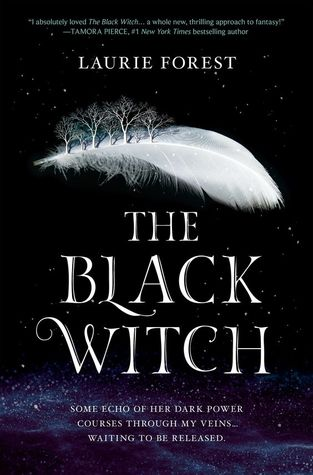 Elloren is the granddaughter of the powerful Black Witch so everyone expects great things from her. Unfortunately, in a society that values magic over everything else, she has none. It’s like a poor man’s Wicked, without the social commentary or good writing, also this world is like the inverse of the Black Jewels in that the men have all the magic instead of the women and also Black Jewels was well written. Elloren doesn’t question anything but then, when one is raised in a relatively insular society you don’t question. Things are what they are and there is no other option. It’s not until said other options are presented that you realise they were there all along. WHAT DOES THAT SENTENCE EVEN SAY???!!!! “You don’t have to know anything, dear… I’ve taken you under my wing. And that’s the best place to be. Simply sit back, enjoy it and follow my lead.” Pp.64-5 – Aunt Vyvian. But it’s fine for her to hate/fear people she doesn’t know. Honestly, White People. Do you have to add Yvan’s race like its a prefix every time he’s mentioned in ch.3? We get it! He’s a Kelt! You don’t need to keep mentioning it. So much is happening in this book and it gets in the way of actual character development – first a ball now a tournament. Not to mention a university welcoming assembly and various attacks which don’t do anything but solidify Elloren’s (and, maybe it’s supposed to solidify ours too?) hatred against the Icarals who have every right to hate her. “Translucent black lines curl out from the wand tip, fluidly making their way toward me. I gasp as they flow and curl around my body. At first I feel a gentle pressure from the, tickling at my skin, teasing. Never mind I just accidentally read the next page “Lukas’s hot kisses” SERIOUSLY? I can’t believe I just read that with my own two eyes. I’m out.